Olms hunt their prey in the absolute dark and have developed a powerful sensory system of smell, taste, hearing and electrosensitivity. Olms are pale and sightless, although their skin-covered eyes are still sensitive to light, despite spending their entire lives in caves. A small population of “black olms”, which has darker pigmentation than other members of the species, has been recognised as a distinct subspecies. They are an entirely aquatic species that can survive without food for up to 10 years and can live for 58 years or more. 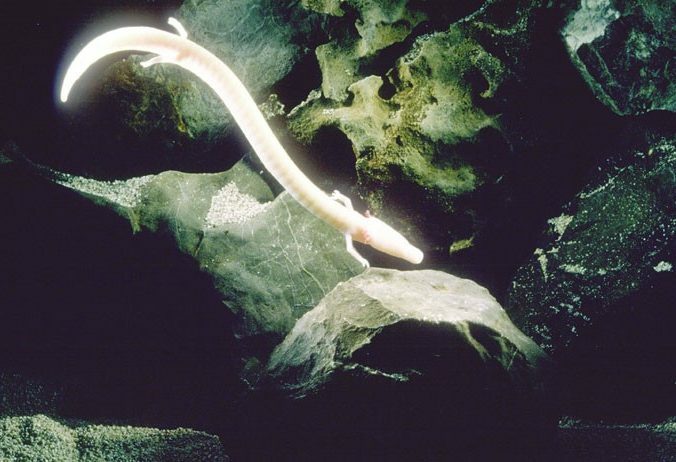 The olm is not sexually mature until reaching around 12 years of age and reproduces very slowly. Females lay approximately 70 individual eggs on the undersides of aquatic stones; however, in some cases the eggs are retained within the body and two fully formed young are produced. This species is part of an ancient lineage of salamanders, and the olm diverged from all other amphibians almost 110 million years ago. In evolutionary terms, the olm diverged from all other species around the same as the emergence of modern birds! The olm requires clean water, and is therefore vulnerable to water pollution. Consequently, the major threats to the olm are pollution and habitat disturbance from land use changes occurring above the cave systems. This species is protected by national legislation in many range states, e.g. Slovenia, Croatia and Italy. In Slovenia the species is present in caves which are protected by national legislation, and much of the distribution of this species is within proposed national or international protected areas. This species found in Bosnia and Herzegovina, Croatia, Italy, Slovenia and France. This species occurs in large subterranean aquatic karst systems formed in limestone and dolomite rocks, and may be found in cave entrances. 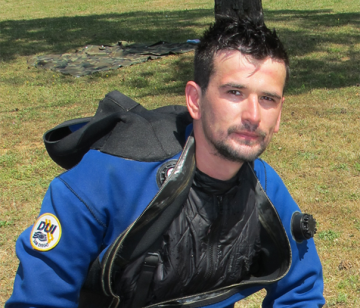 The species is found in waters ranging from 5-15°C. They feed on detritus and endemic cave vertebrates and hide in crevices or bottom sediment when disturbed. This is a long-lived species that only mature to a sexual stage after the age of 12. There are viable populations of olm in all major regions across its natural range that exist in clear and healthy underground aquifers guaranteeing, as iconic umbrella species, protection of clear drinkable water for human population. 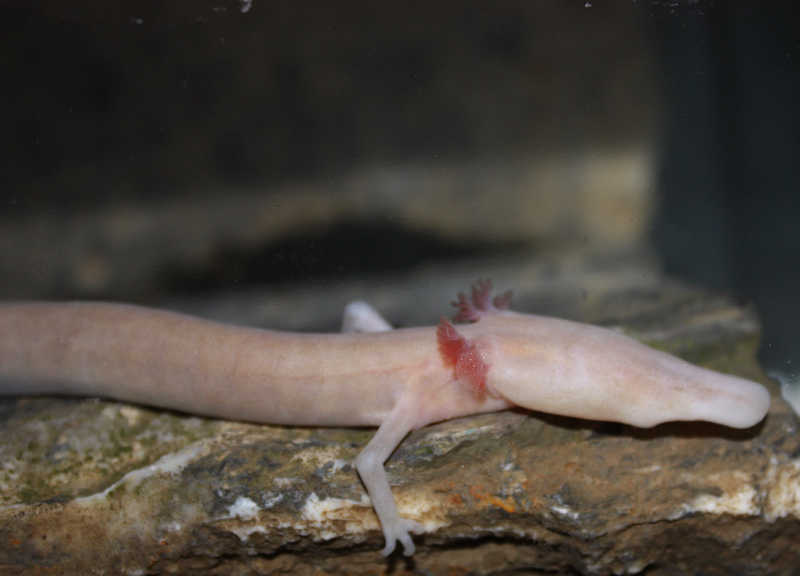 To conserve the health of the karst underground and water supply for cave animals and as drinkable water for the humans, using the olm as umbrella species.